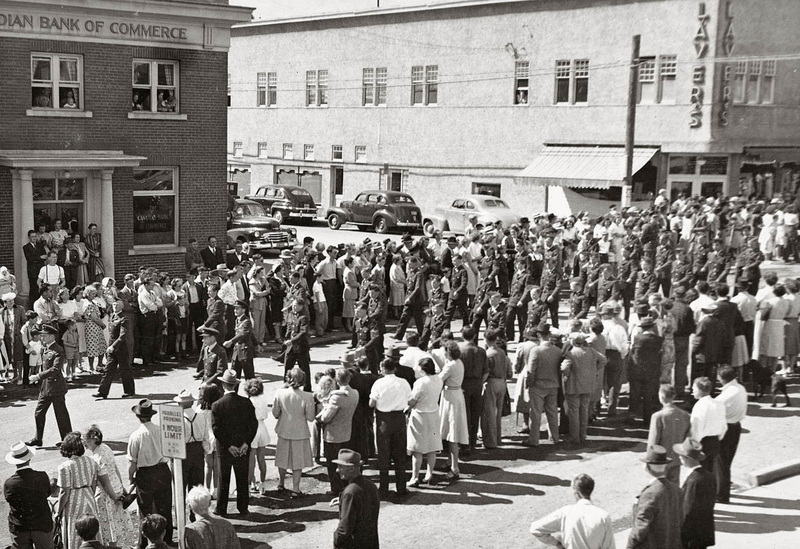 Photo credit: July 1st parade at the corner of 5th Street and Cliffe Avenue, 1948. George Apps photograph. Photo: CDM 997.505.15. Page 184. Photo caption: “For a generation that had lived through the aftermath of the Great War, the Great Depression and World War II, the war’s end signalled an era of promise like none before. The high number of weddings in Courtenay at this time indicated that people had a cautious optimism about their lives ahead.” Page 185.